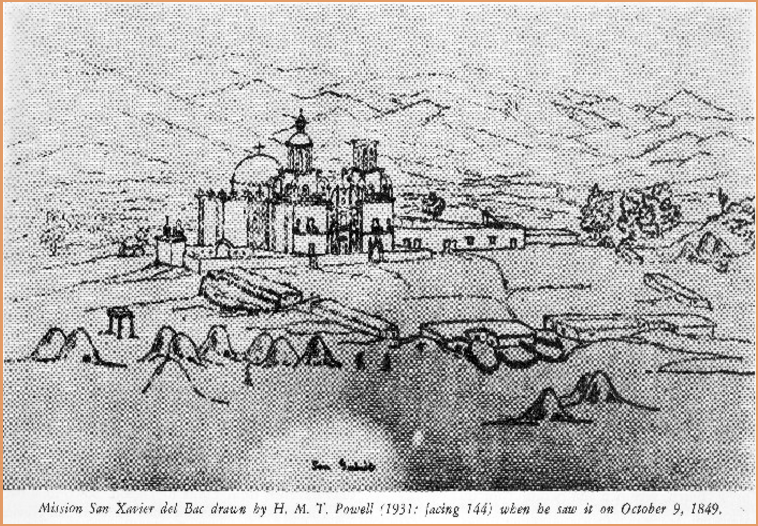 Before there was a Mission San Xavier del Bac, there was the village of Wa:k. The drawing below (credit to the National Park Service website) is a view of 1849 Wa:k, with rounded residential huts in the foreground and San Xavier in the background. I’d grown up in the area, been familiar with San Xavier del Bac all my life, and never knew that the area around the church was a town with its own name. “How do you pronounce this?” asked Mr. History Tourist of the young woman who handed us our pow wow tickets, pointing to the word Wa:k on the front of the program. “Walk,” she said. It means “the place where water emerges” in O’odham, according to San Xavier del Bac’s historic place nomination form on the National Park Service website. “Bac” seems to be a Spanish-ized version of Wa:k. There isn’t any water emerging from anywhere in the area now, but I suppose it’s possible it once did, way back when. 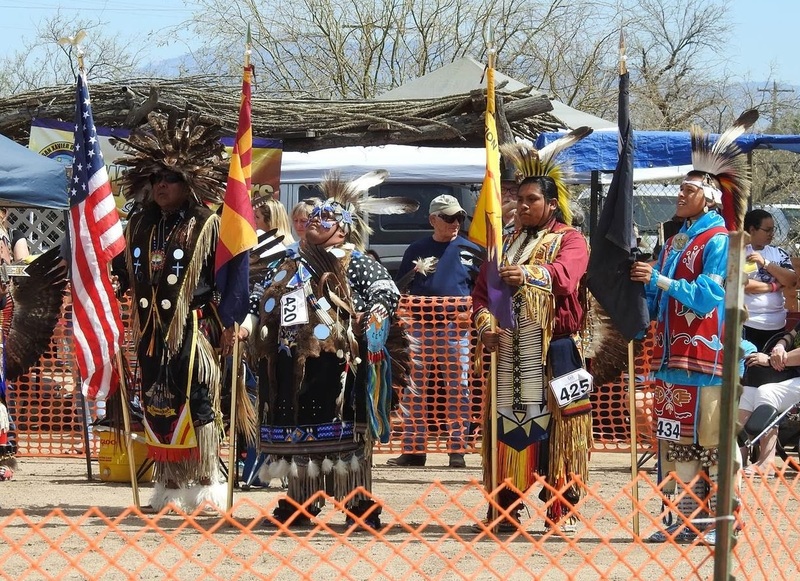 Every second weekend in March, the Tohono O’odham Nation holds a pow wow in the village of Wa:k, behind the San Xavier church. 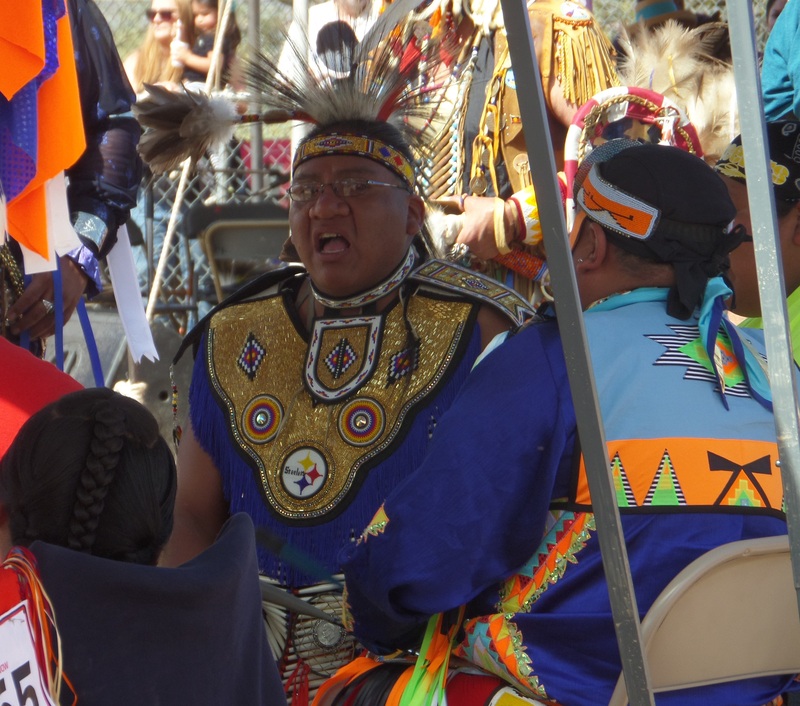 The term pow wow, according to the Indian County Media Network, comes from the Algonquian and means “the act of dreaming. 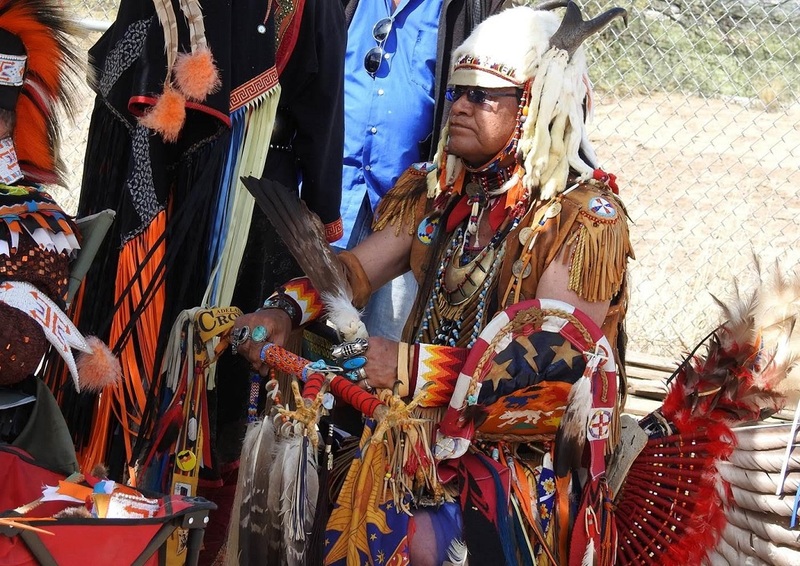 A pow wow, it is said, signified a medicine man whose visions gave him power and skill.” The modern pow wow is a chance for Native Americans to come together to share cultural traditions. 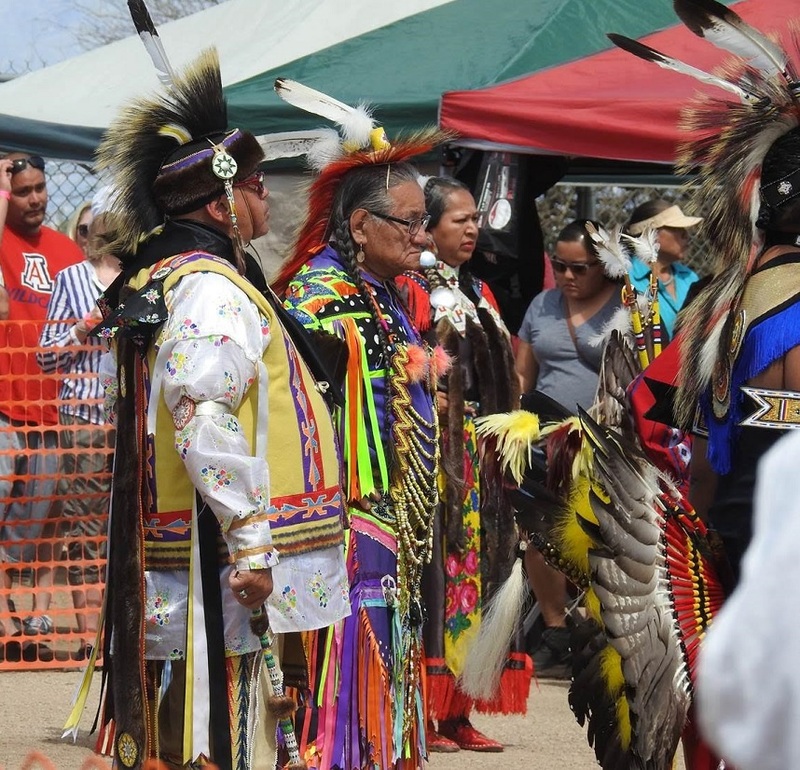 Non-Natives are welcome too, to watch the dancing and drumming contests that are the main focus of the festivities, and partake of the crafts and food set-up under tents that ring the contest arena. 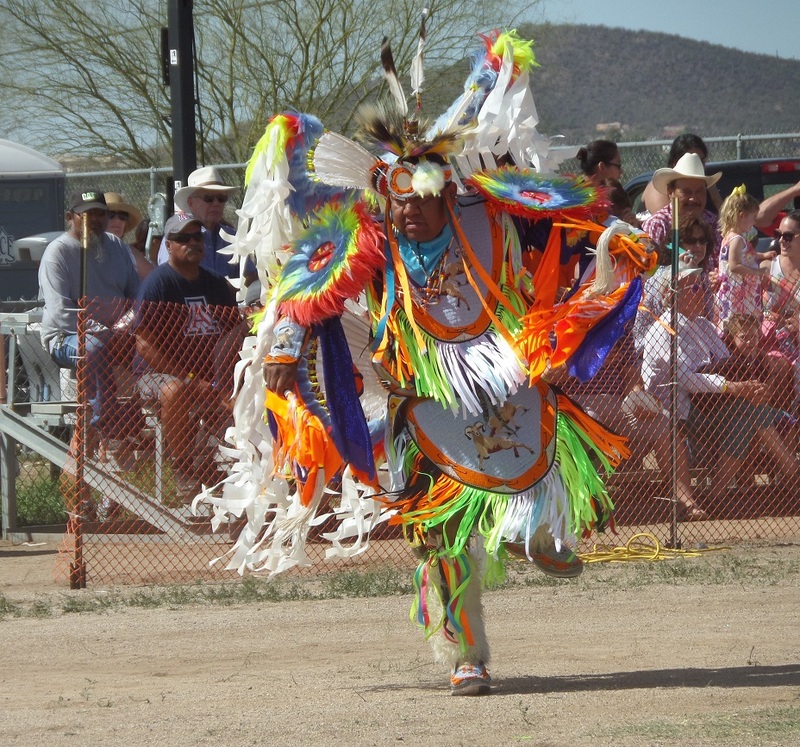 The Wa:k Pow Wow draws Native Americans from all around the southwest, not just locals or Tohono O’odham. In announcing the participants in the drumming contest, I heard mention of groups from Oklahoma, New Mexico and California. Anyone catch this singer’s homage to the Pittsburgh Steelers? It’s a two day event: Saturday and Sunday. Mr. HT and I were there on a Sunday, and the activities were rather sparse. 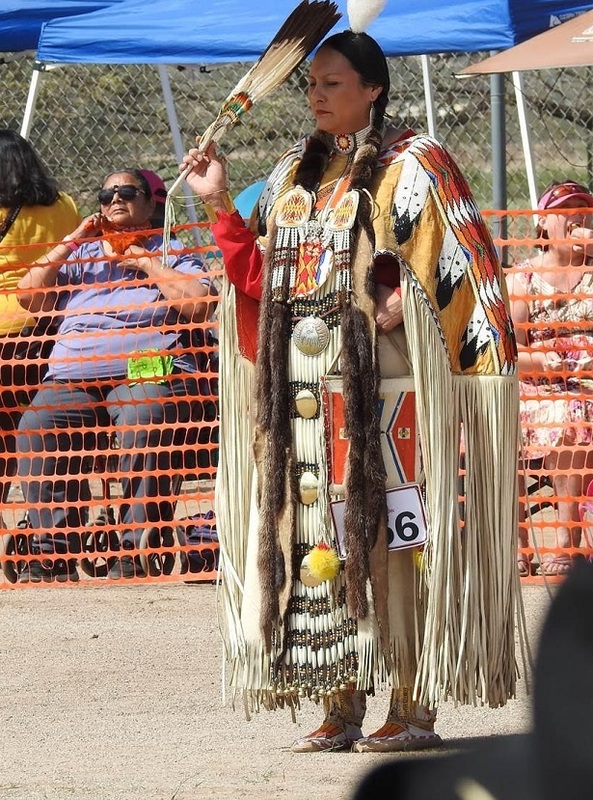 We learned that some of the dancing contests had taken place on Saturday and while they held exhibition dances on Sunday, many of the dance contestants had left after their competition on Saturday. So for the full pow wow experience, Saturday may be a better bet. Did you get to smoke a peace pipe? We didn’t get to smoke anything. Thanks for this. I have been to San Xavier del Bac a couple of times, but I never knew about the village. I hadn’t either, and I actively search for that kind of info.